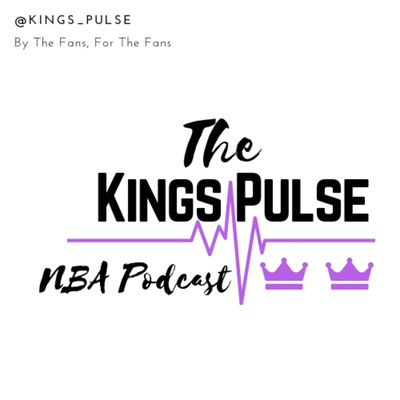 An in-depth Sacramento Kings podcast hosted by Brenden Nunes, part of the Pulse Podcast Network. Breaking down each game that passes by, previewing the upcoming, and talking with local and national reporters on anything Kings related. We cover the Luke Walton hiring and how quickly that all became reality for Sacramento as well as start an offseason series of player breakdowns. Diving into player's seasons that just took place, where they can take that next step, their overall value, and their place on the team next season (if they have one). We also do our weekly /r/Kings Reddit Q&A to close out the podcast. We talked with Deuce Mason, who is the play-by-play announcer for the Stockton Kings and closely tied in with the team in Sacramento about all that has been going on in these last few hectic days. From Joerger being let go, Jason Jones articles giving insight, other coaching candidates, the G-League guys to watch for (Stockton Kings), and what his playoff team is moving forward. Dave Joerger was let go... officially. The fans didn't want to see it happen, but hopefully we don't know the whole story and there were some behind the scenes issues that go deeper than the 48 minutes we saw 82 times this season. We give our initial reactions and cover what some of the fans are feeling. Brenden and Rich record live for the first time, right outside of the Golden 1 Center in downtown Sacramento. The Kings blowing a huge lead to the Blazers G-League roster, including Skal Labissiere, in the final game of the 2018-19 season. We cover the ups and downs of the season, our favorite moments, the picking of Bagley, and how enjoyable this entire season has been in general as a Sacramento Kings fan. Brenden and Rich touch on the recent struggles and the teams now chasing after that 40 win mark on the season with the final game in Portland and dive into plenty of questions from fans, mainly taken from Reddit (r/Kings). Interact with us there on our thread at the top of the subreddit or on twitter @Kings_Pulse to ask us questions for next weeks Q&A session! You can also now find this podcast on Podcoin, get paid while you listen! Brenden had a conversation with Tim (SactownBabyGiraffe) of Sactown Royalty. Played a game where a stat from this season named and predicted higher/lower for next season, looked at the holes of the team, ideal free agent targets, ranked those targets, talked on the Kings young core compared to others such as Dallas, and more. Great episode, big thanks to Tim for taking the time to talk Kings on the episode. Brenden and Rich recap what went wrong in the Houston match-up where the Kings got blown out, Marvin Bagley's rookie season role and minutes compared to the rest of his draft class and what his Dad has had to say, players to watch for in the G-League, and a hypothetical of Sacramento being in the playoffs this season (playoff match-ups and rotations). You can now find the podcast on the app Podcoin!